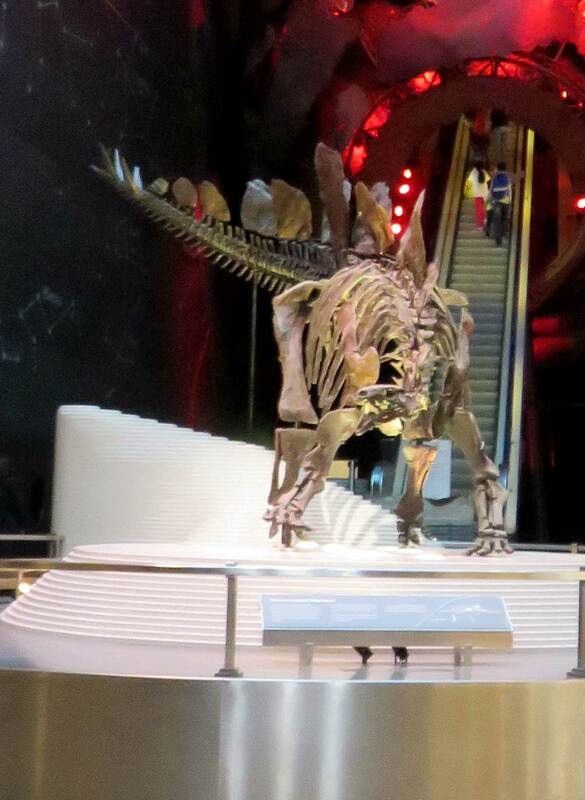 These pictures are of a Stegosaurus stenops fossil on display at the British Natural History Museum in London. The display lists this as the most complete Stegosaurus fossil ever found. 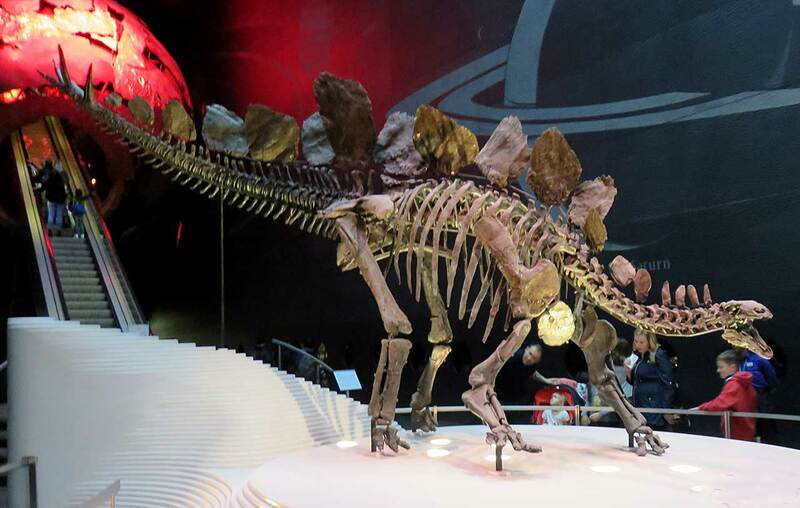 It was found at the Red Canyon Ranch, Wyoming, USA in 2003. The animal lived in the Late Jurassic Period (155-150 mya). 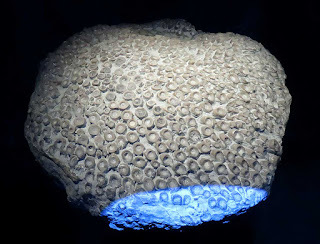 The picture is of a colonial coral fossil Kodonophyllum truncatum (Linné) on display at the British Natural History Museum in London. These creatures existed in the Silurian Period. It was found Dudley, West Midlands, England.